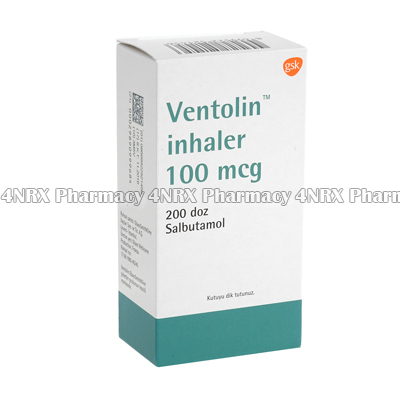 What is Ventolin (Albuterol Salbutamol) used for? 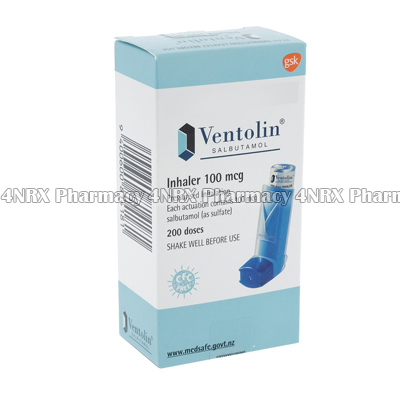 Ventolin (Albuterol Salbutamol) is an inhalable medication prescribed to treat patients with asthma or chronic obstructive pulmonary disease (COPD). It is a bronchodilator that operates by relaxing and widening the airways allowing easier and more comfortable respiration. This function also makes it useful for preventing asthma attacks caused by exercise. Your physician may prescribe it for other unlisted purposes, as well. How should I use Ventolin (Albuterol Salbutamol) ? Ventolin (Albuterol Salbutamol) should always be used according to your physician's instructions to get the most effective results from treatment. One or two doses are normally administered twice daily, but your individual dosage may differ based on your health condition and the severity of your symptoms. Gently shake the inhaler before each use to mix its contents. Remove the cap, exhale deeply, place your mouth securely over the mouthpiece, and inhale deeply while depressing the canister to dispense one dose. It is recommended to hold your breath for ten seconds or as long as is comfortable for you to allow the medicine to be absorbed into the lungs. If it has been several weeks since you have used the inhaler it may be necessary to prime it by holding it away from your face and depressing the canister until one spray is dispensed. Always ask your physician any questions you have about using the medication to ensure the correct administration. What are the side effects of Ventolin (Albuterol Salbutamol) ? More serious side effects that may require emergency medical assistance are tremors, anxiety, chest pain, irregular heartbeats, low potassium levels, severe hypertension, or trouble breathing. Immediately inform your physician if you experience any symptoms that are worrying or intense to make sure the correct changes are made to your dosage to prevent further complications. Ventolin (Albuterol Salbutamol) should not be used by patients who are allergic to its contents or who have had a bad reaction to similar treatments in the past. Also disclose if you have arrhythmias, hypertension, heart disease, diabetes, or hyperthyroidism as these conditions may cause unexpected complications requiring reduced doses or alterations to your regimen. Strictly follow all instructions provided to you by your physician or pharmacist while using Ventolin (Albuterol Salbutamol). Optimum and safe dosage can differ based on the patient and the condition being treated.